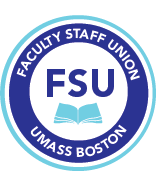 The purpose of the FSU blog is to (1) inform the UMB community about union activities and related issues in a timely manner, (2) build rank-and-file involvement with the union and a sense that the union is its members, and (3) contribute to strengthening the labor movement through engaging stories and engaging analysis. The communications committee works with the Faculty Staff Union and the blog editor to guide the content of the blog, keeping in mind its purpose, making it relevant to the members, and maximizing its impact on ranks-and-file mobilization. MTA events/issues that affect UMass faculty and librarians (i.e. the intricacies of K-12 should be minimal). The communications committee will moderate all blog comments, allowing only those comments that meet a set of established guidelines (e.g. no personal attacks, no hate speech).